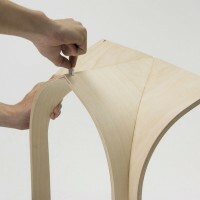 Japanese designer Nobu Miake of Design Soil has created the Cathedral side table. 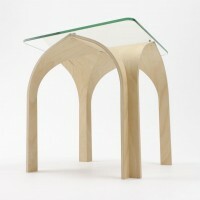 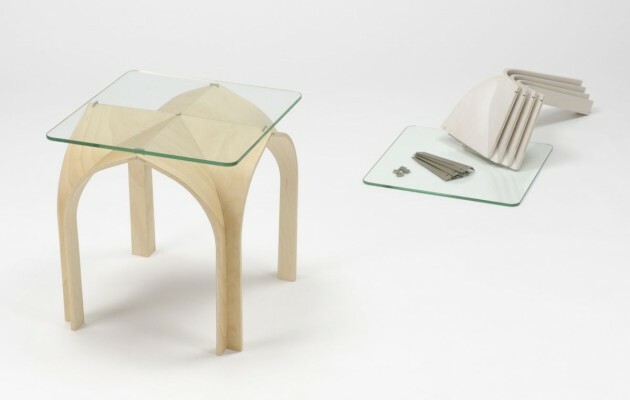 “CATHEDRAL” is a low table inspired by Gothic architectures. 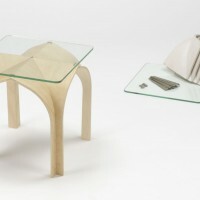 It consists of molded plywood and two types of metal fitting. 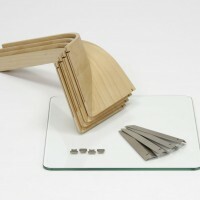 Although the parts themselves have only limited strength, once they are assembled into a complete structure, all the force applying onto the structure will be redirected towards the center, and hence gives it stability and strength.